Kids learn common prefixes and suffixes by "filling the house"! Similar to "bingo" and "lotto," playing the Prefixes and Suffixes Fill-the-House Game gives kids lots of fun practice in decoding words with prefixes and suffixes. 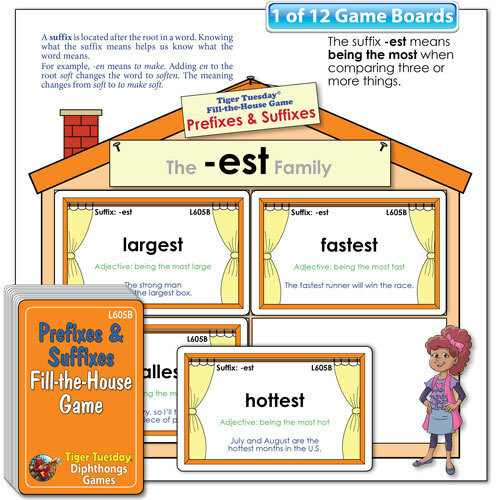 Examples of prefix and suffix families ("house" boards) include: the "dis" family, the "pre" family, the "-less" family, and the "-ness" family.